The largest city in the Canadian province of Alberta by a wide margin, Calgary is a cultural and technological hub, resting on the plains just before the Northern Rockies. Home to over two million people from across the globe, it forms the ethnic center of the Canadian mid-west, and dates back almost one hundred and fifty years. 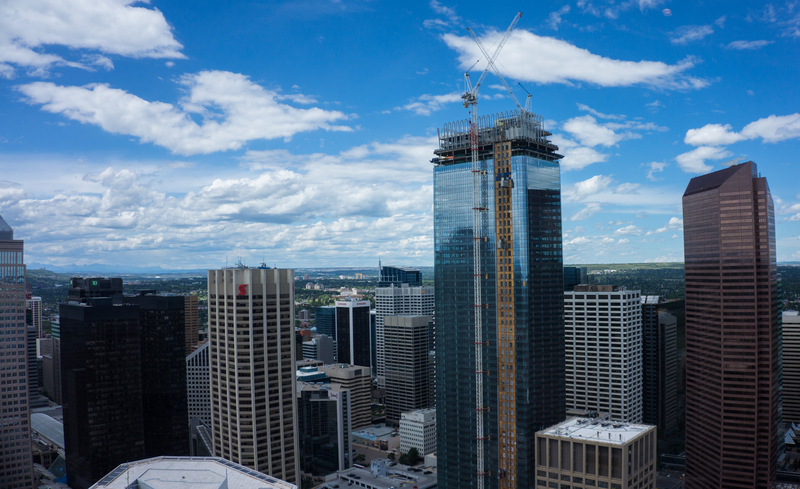 Since its founding, Calgary’s biggest successes have been owed to two particular industries, the first and foremost of which is oil and energy, which took the city from a simple home on the plains to a bustling metropolitan center of industry. 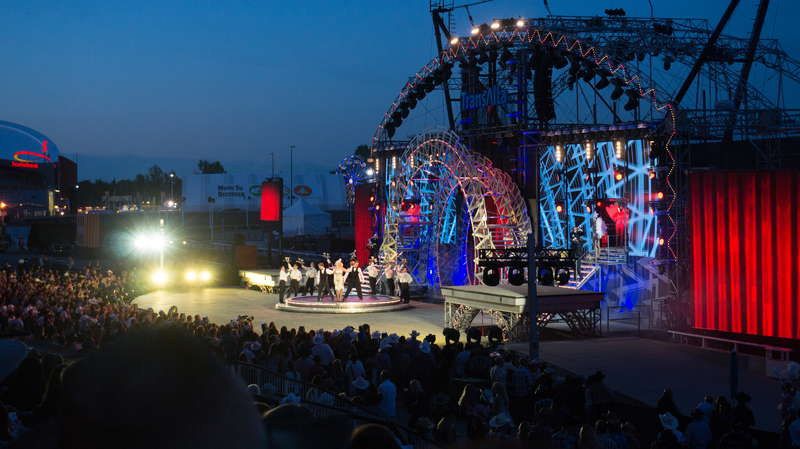 The second however, is the Calgary Stampede. A twisted concoction brewed one part farming expo, one part carnival, one part cirque du soleil, and two parts rodeo; all coming together to form one of the biggest parties you’ve ever seen, and drawing in visitors the world over. The metro area itself is perhaps one of the most confusing places I’ve ever been. This isnt unusual when traveling to a foreign city, but Calgary’s grid seems to be comprised entirely of pseudo-highways, roads that run diagonally with no particular order, turns and onramps that seem ill planned to say the least, and signage that’s just plain illogical. It takes a local to navigate the city with any semblance of ease, something we certainly were not, and considering we had no gps, getting around became quite a struggle. That being said, the fight to get anywhere close to downtown is well worth it, as once you’ve paid an outrageous amount to park (really that’s how it is in any city) and taken careful notes on the location of your car, the vibrance offered up by the crowded streets and towering skyscrapers puts it all safely out of your mind. The first place we visited, and perhaps the most obvious tourist destination, is the 627 foot tall Calgary Tower. Much like any other tower to be found in large cities, especially the Canadian ones, Calgary Tower serves as part information center, part observation deck, even equipped with a restaraunt and lounge accessible from the top floor. 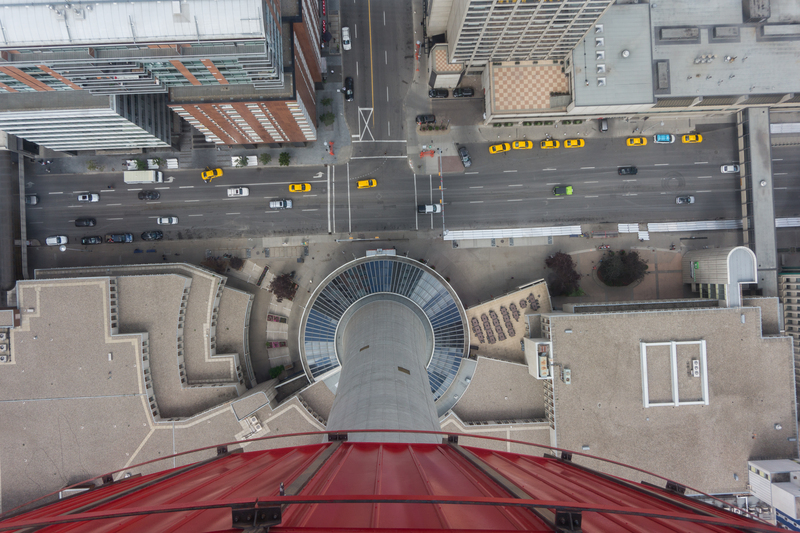 However, Calgary Tower has a twist to it, the outer rim of the observation deck is made of glass, allowing you to look down at the city below for the full effect of floating off the edge of a skyscraper. Admission is about $20 CAD, well worth it for the breathtaking views both out onto, and down towards the city below. After dutifully fullilling our obligation as tourists to seek out the most immediately impressive thing we could find, we took to the streets in search of some authentic western style entertainment, and were greeted by more cowboy hats than I’ve collectively seen in my entire life. Everywhere we looked, evidence of the stampede made its presence known. Chaps, cowboy hats, bolo ties, and enough leather to rebind the entire library of congress, strewn across people of all ages and from all walks of life. Living statues, pop up concerts, tents selling western wear, even some pan flutes could be heard as we perused the streets which snake beneath the CORE mall in the heart of downtown. The collective smells from more restaraunts and bars than you could count made us incredibly hungry but with no idea for what. Open doors invited you to try whatever spiced meats might be lurking behind them, but wait! Over there, it’s some sort of deep fried pastry wizardry. No, over here! It’s drinks served from cups made of fruit! After tearing ourselves away from the streets, we pulled into the mall itself for a brief respite from the cow-clad festivities. Though not the most obvious tourist destination, we’ve personally found malls to be quite interesting wherever we’ve gone. Of all the things to see in a city, the mall typically ranks pretty low on the list, but this can be a mistake in some cases, this is one of those instances to be sure. The CORE mall is gigantic, four stories of shops spanning a good 3/4 of a mile, and connecting to a few other malls of equal size via an array of skyways. 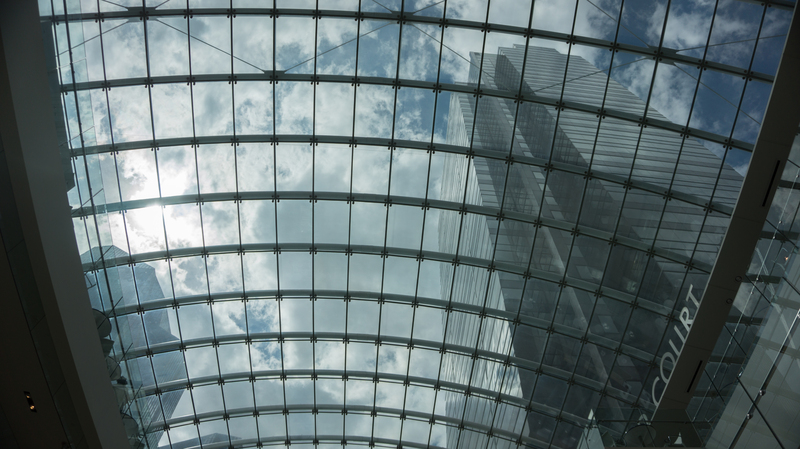 The ceiling is comprised of vaulted glass, and stretches out across the entirety of this monstrous money sink, bathing the ultra-modern constructions within in soft natural sunlight. It appears to be much like any other mall however until you reach the far end, where the reason for going becomes immediately apparent. As we walked, something green lining the far wall caught my eye, and I realized it was in fact a garden. A botanical garden. The Devonian Gardens of the CORE mall, a full sized botanical exhibit nestled in the back end of the mall. Complete with extensive water features and fountains, tropical trees and flowers, vines that scale the white washed walls until nothing but green remains, and enough nooks and crannies to hide at least 20 young artists and mucisians, looking for a small slice of serenity in which to practice amongst the turmoil of the city. Finally moving onwards from the downtown area, a short walk of a couple miles (short for us at least) led us to the Stampede parade grounds, a permanent installation comprised of multiple civic and convention centers, a grandstand area complete with race track, a full sized stadium, and various other venues, all large enough in their own right to host a small carnival. After asking around I discovered that this gargantuan conglomerate was in fact dedicated solely to the stampede, and most of it is only used for about a week and a half out of the entire year. 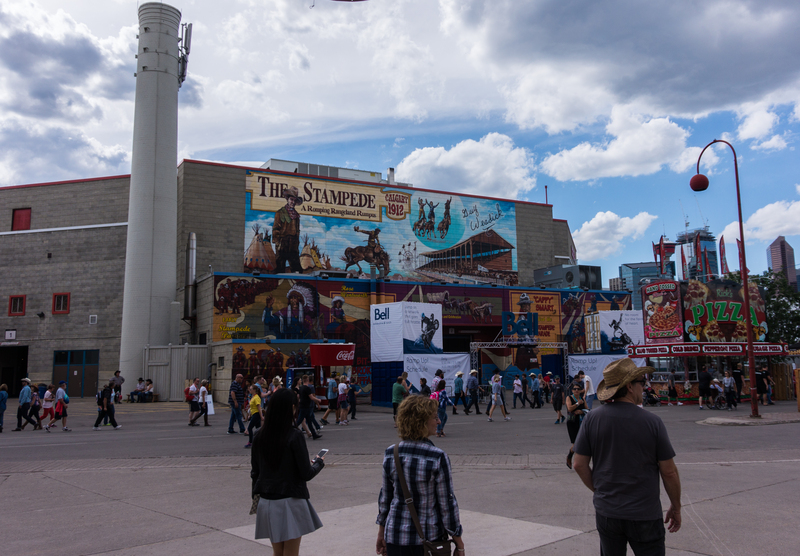 Big enough to be an Olympic village, the grounds truly highlight how important the Stampede is to Calgary, both from a cultural and an economic standpoint. Even outside the immediate area of the Stampede signs of its significance can be found everywhere you look. Fences and buildings in the city embossed with the Stampede logo, restaraunts named after it, shops dedicated to it, the list goes on. Walking around, it took almost no time at all to understand why it played such a big part in the city’s heritage. Everywhere you look something is going on, the main path through the grounds is lined with carnival equipment and food stands, bands are playing, loud speakers are blaring, a hip hop concert was going nuts near the entrance. The first place we visited was the agricultural center, which accounted for the farming expo portion of the festival. Room after room of farming related activity sprawled about before us; a prize winning sow coupled with week old piglets, a sheep shearing competition, a miniature donkey showcase, cages full of ducks, chickens, and turkeys, plus more horses than you can even imagine. Almost every animal in there was award winning in some category, bred for excellence over generations, all in the hopes of one day making it into this very room so that they might be shown off in front of the world and all its inhabitants. Informational stands and plaques lined the walls and cages, we left the center knowing more about farming than I had ever deigned to know. Turning out of the agricultural area, we ran into a black smithing demonstration, as a group of young smiths trained for the upcoming horseshoe competition. A few more feet and we got caught in a crowd as dozens of people were shunted aside, making way for teams of horses getting ready for a heavy cart pull. The next alley was filled with rib stands, many of which had been coming to the Stampede for decades, each had a table of their various awards and trophies displayed proudly out front, beckoning passers-by to come sample what each claimed were the best ribs in the world. The sound of drink and bull riding could be heard as we passed a gigantic wooden arena. Half bar half public rodeo, it seemed to be a recipe for disaster, but that certainly didn’t stop throngs of middle aged men who had had one too many from trying to ride a very irritated bull in the middle of the arena. As we approached the convention centers, a marching band was playing “take on me” at maximum volume, it was about as surreal as I thought it could get. I was wrong, the first convention center was dimly lit, and filled with stalls of all kinds from wall to wall. Upon closer inspection, it turned out to be a world market, Egyptians, South Americans, Middle Easterns, Africans, Indians, even some Chinese had set up stalls in this diverse pseudo strip mall, shouting out deals in a mix of English and native tongues, they had travelled across the world to sell their wares here, in Calgary. Tigers eye gemstones, Italian glass necklaces, rawhide leather journals, rain sticks, pan flutes, jade urns, it was a never ending stream of hand crafted works and confections, the last thing I expected to find in a giant Canadian rodeo. However upon entering the second, even larger convention center it got even stranger. This one was quite literally a mall without walls. Stands selling hot tubs were giving off the aroma of chlorine as they were fired up to intice a buyer, around the corner was someone selling toilets, and turning again we found a stand selling mechanical horses. Tents filled with VR machines, collectible action figures, phones and gadgets cluttered the area, you could even get a hair cut. Salesmen wearing headsets gave demonstrations of everything from kitchen appliances to drain cleaner, their various loud speakers overlapping to form a jumble of commercial snippets, like someone blended a couple hundred Billy Mays clips then barfed them up all over the inside of a stadium. Escaping through a door at the far end, what we thought might be an exit turned out to actually be and extensive art and photo gallery, even a decorative cake exhibit could be found, all centered around a freestanding restraunt in the center of the building. None of it seemed to mesh with the themes set by what was happening just outside, but as all the signs and shirts said, it was just a Stampede thing. After wading through the crowds for most of the day, the time finally came to see the evening show. Finding our seats in the grandstand, we waited as an array of ads describing various events and deals scrolled past on the screens ahead. Finally, the first segment of the show began, chuck wagon racing. Teams of riders drove two horses carrying a half sized wagon at full speed around the race track, turfing up the ground and causing a great deal of excitement amongst the local Albertans. A sport found nowhere else in the world, chuck wagon racing is apparently and Albertan specialty, and the rough Canadian equivalent of NASCAR. Interesting as it was, it was nothing compared to what came next. 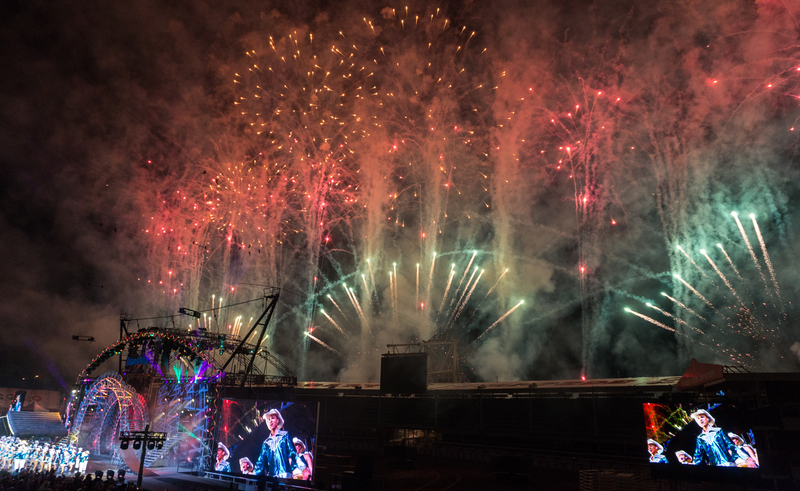 The Grand Spectacular, a show basically comprised of whatever the stampede could get theirs hands on. BMX riders, Ukrainian acrobats, line dancers, tightrope acts, and enough pyrotechnics to blow up a small mountain. At one point a grand piano was flown over the crowd.. while being played. It was absolutely insane, and something I would recommend staying for above all else at the Stampede. All in all, although Calgary has its problems in terms of being a user friendly environment so to speak, it’s a very cool place, especially during Stampede week. Our concept of the city may be a little skewed as we viewed it at its absolute peak, but if you are to see it there really is no better time than the first week of July. The city takes on new life, almost as if it waits all year, slowly building up energy only to release it all in a single week during one of the biggest, and surely strangest parties on Earth. The only advice I can really give for the Stampede is that you should definitely see it. What exactly you should see and do are entirely up to you, save two things. First off, eat something on a stick, it’s tradition, and second, but a cowboy hat. You’ll need it.